Would you like to know a secret? OK, but you must promise not to tell anyone! Our guitar has a secret spot; a hidden nook at the cutaway underneath the neck. And we’ve put a code there. It was quite a tricky job as, unlike the back that we showed you before, this is just a small area so that the knotwork and finishing must be precise. This code is not meant for public display, but instead can only be scanned by someone who is intimate with the instrument, who is holding it and knows it well (unless they have read this post that is). 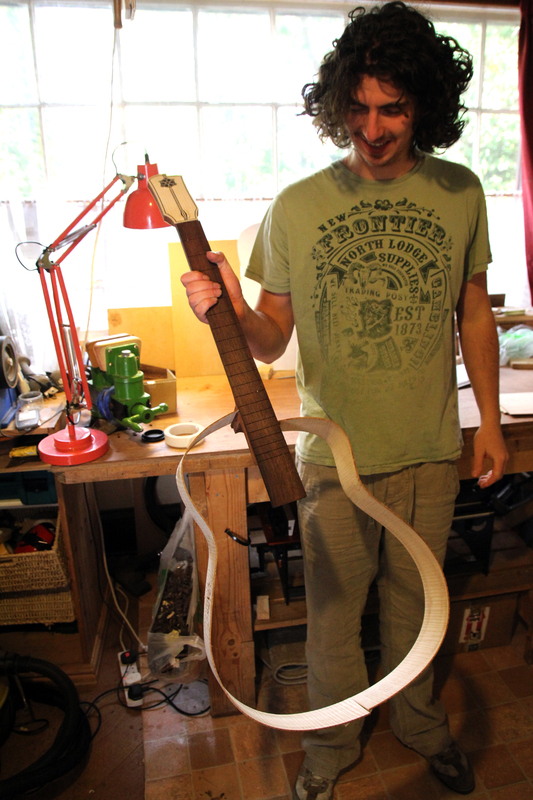 … so that we have the frame of the guitar in place and ready for the back to be attached. Now we just need to decide what kind of interaction to trigger when this secret code is discovered and scanned. Perhaps something special that only the owner or player might want to do? What do you think? Why not press on the comment button below and leave us a suggestion? Perhaps we’ll even add it to our app. Now this isn’t our only secret. 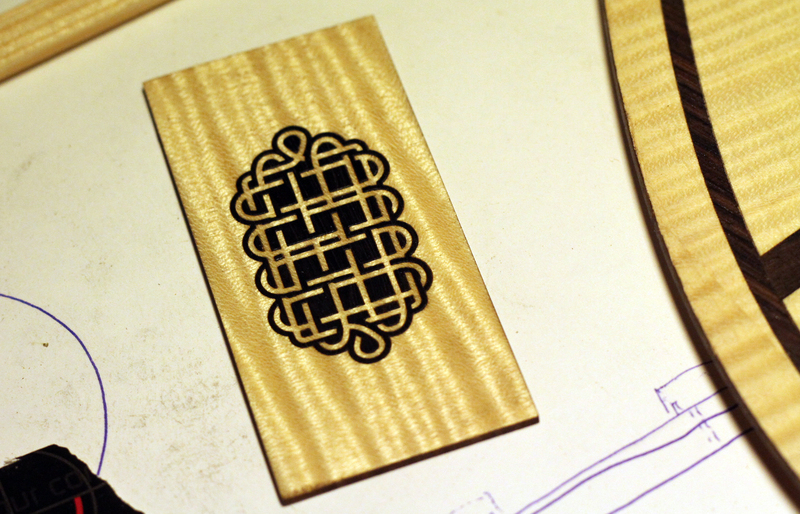 We’ll soon be revealing a big one – the striking design of the front soundboard as it is etched. 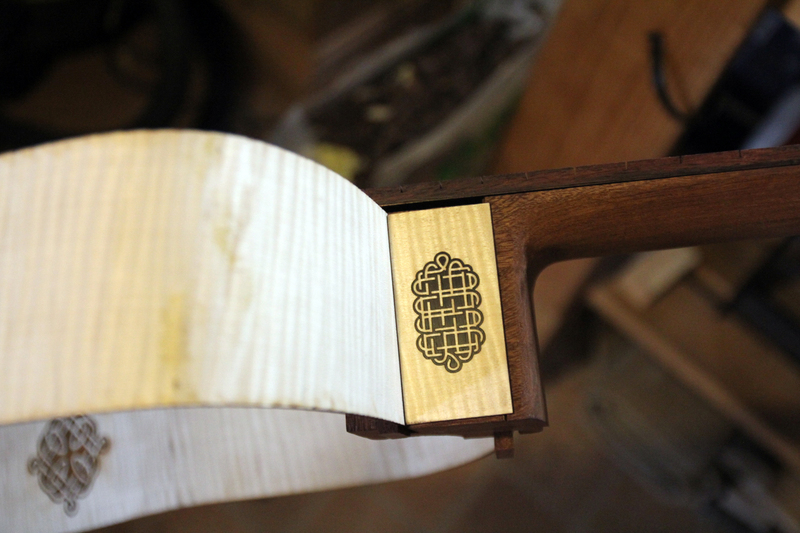 There are other other surprises in store too as the Carolan guitar comes into shape.